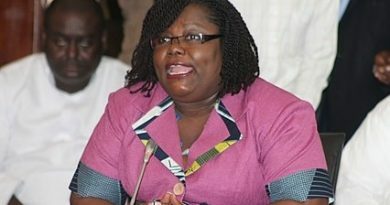 The high spate of corruption in Ghana would drastically reduce if women are appointed to be at the helm of affairs, asserts the Minister of Gender, Children and Social Protection, Nana Oye Lithur. According her women, especially those in the public sector, have put up a good showing, adding that they could do more if their ratio of appointments is increased. Mrs Lithur was speaking at the final validation meeting with the members of the national working committee for the drafting of the Affirmative Action legislation which talks about gender equality, especially for women and girls. She noted that a country like Rwanda is leading in the campaign as development is concerned because it has complied with to affirmative action and has hence appointed many women to head public offices. Mrs Lithur indicated that the bill after the final validation would be forwarded to Cabinet and subsequently to Parliament. She added that s the bill when passed into law would seek to address social, economic and educational gender imbalance such that opportunities will be provided to overcome all forms of discrimination. 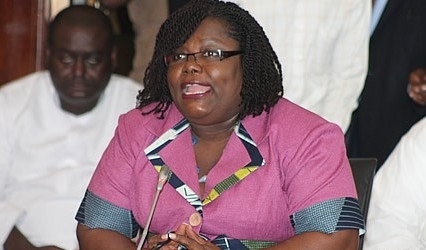 “The purpose of the Bill is to promote the full and active participation of women in public life by providing for a more equitable system of representation in electoral politics and governance in accordance with Ghana’s international and constitutional obligations and national development,” she said. She said the passage of the Bill would rectify historical wrongs by mandating that certain opportunities be made available to those distinguished by gender, minority or under-represented status. Mrs Lithur said the process to increase representation and participation of women in decision making in all sectors of governance structures and processes span over two decades with the drafting of the Affirmative Action Policy guideline in 1998. She noted that the Bill has been sent to the Attorney- General’s Department for its input, comments and suggestions and would thereafter be submitted to Cabinet for approval. “Our presence here is to do a thorough review of the final draft bill before the presentation to Cabinet and subsequently to Parliament,” she said.